Garden planning is fairly easy, but VERY IMPORTANT! The steps you take now in the planning and preparation process will have a big impact on the productivity of your vegetable plants. 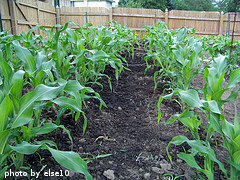 There are two types of vegetable gardens - traditional and container. Traditional vegetable garden - a plot of land where vegetables are grown. Container vegetable garden - containers where vegetables are grown. See, I told you it was easy! To begin the garden planning process, you need to determine which type of vegetable garden is right for you. If you already have a traditional garden in your backyard and plan on using it, click here to move to the next step - soil preparation. How much space do you have for a vegetable garden? What varieties of vegetables do you want to grow? How much do you want your garden to produce? How much space do you have? Obviously, certain types of plants can be grown in containers. Others require planting directly in the ground. Just because you live in an apartment in the city doesn't mean you can't have a vegetable garden. A few pots on a patio or balcony will do nicely if they get adequate sun during the day. If you have access to a plot of land, your options for a vegetable garden are wide open. The bigger the plot, the more options you have - wider varieties of plants and more of them! However, just because you have a large spot in the backyard doesn't mean you have to put in a garden. Plenty of people CHOOSE to grow veggies in containers because it's a little bit less work. It all boils down to the amount of effort you want to put into your garden (and what you expect to get out of it, more on that later). If you can find the space, we encourage you to grow a few extra veggie plants and donate the extra produce to help feed the hungry. In just about every area, there are local charities, food banks and faith-based organizations that provide those in need with food. Many of these outreach programs would greatly appreciate getting donations of fresh produce from your garden. For a great example of how a community comes together in the fight against hunger, please visit the AFAC Plot Against Hunger website. 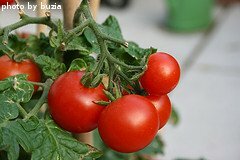 click here for a list a vegetables that are suitable for growing in containers. By now, you should be leaning toward container gardening or a traditional vegetable garden, depending on your answers to the first two questions. If you've decided which route to go, scroll down and click on the applicable links below. How much do you want your garden to produce? If the vegetables you like are suitable for container gardening AND you just want a few of them, container gardening is probably the way to go. If you're looking for a few fresh tomatoes and/or peppers every week, you probably fall into this category. 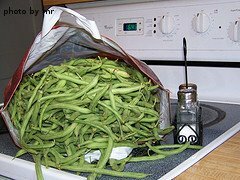 On the other hand, if you want your garden to produce enough to: can 20 quarts of green beans and 3 gallons of salsa, make homemade pickles, and bake 40 loaves of zucchini bread, you definitely want a traditional vegetable garden.